Tim is a breathtaking movie that is both sweet and sour. Mel Gibson is young and charming. 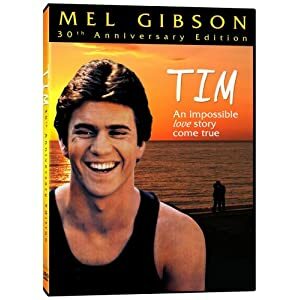 Even though this movie was made really quickly and on a very low budget, Piper Laurie and Mel Gibson make Tim a very worthwhile film. The story revolves around a young man who is below average in intelligence and an independent woman in her 40’s. They develop a strong friendship that some people think is very suspicious. Everybody thinks that Mary (Piper Lauren) is taking advantage of her naïve and innocent new friend (Mel Gibson).